1. Before class cut a piece of craft foam in a circle then cut around in a spiral until you get to the middle of the circle. 2. Have your children decorate the spiral with fun foam shapes and markers. 2. Hang it up with a piece of yarn. 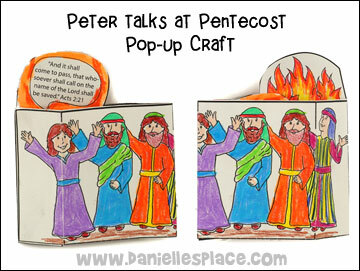 This craft will remind your children that the Holy Spirit is present even though we can't see it. 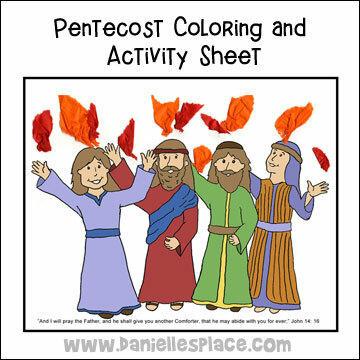 Younger children will enjoy coloring an activity sheet and adding tissue paper flames. 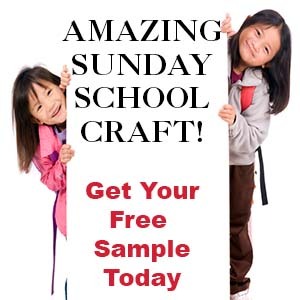 The complete lesson with printable craft patterns and activity sheets is available on The Resource Room. 1. Before class cut out flames shapes. 2. Make headbands from strips of paper and glue the flames to the back of the headbands. 3. Write one word from the Bible verse on the front of each headband. Use "He shall give you another Comforter". 4. Place the headbands on your children. Mix them up and then time them to see which team can line up in order to make the Bible verse. 1. Before class print out the patterns and cut around the edge. 2. Score all the lines. 3. In class have your children color the picture and tabs with colored pencils. 4. When they are done coloring, fold the paper in half and glue it closed. 5. Fold the tabs and glue them onto the back of the pattern as indicated on the pattern. 6. Glue the sides of the rectangle pattern together to make a box shape. 7. Show your children how to press on the sides to make the tabs pop up. Watch a "View it and Do it!" Youtube video to see how to make this craft. 1. Before class cut crepe paper into two feet lengths. 2. Divide your children up into teams and give them each a straw and a piece of crepe paper. 3. Have them use the straw to blow the crepe across the room and back. If you don't want them to get on the floor you can have them blow the crepe across a table. 1. Before class cut pieces of crepe paper into 3 feet lengths. 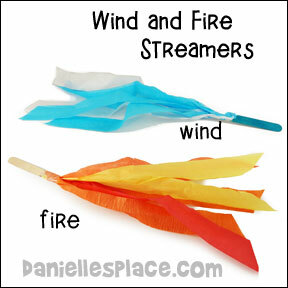 Use red and orange to make the fire sticks and white and blue to make the wind sticks. 2. Staple four or five pieces of crepe paper to jumbo craft sticks and then cover the staples with tape. Make one fire and one wind pompom for each child. 3. 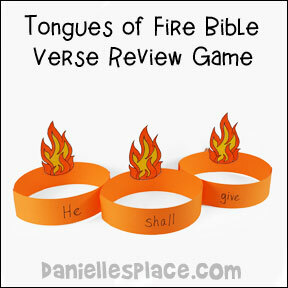 As you sing "tongues of fire" have your children wave their fire pompoms up and down. As you sing "mighty wind" have your children wave their wind pompoms side to side. 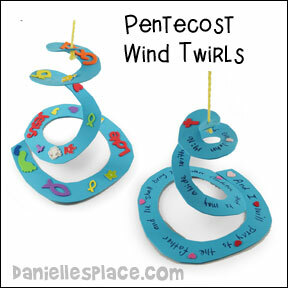 I did the lesson on Pentecost and the kids had a lot of fun decorating their spiral twist tongue of fire. I did two different kinds of head bands. One set was for the kids to wear with the memory verse that I used from another lesson book of mine and then the other sets we matched up the memory verse (we did that about three or four times).